The Custard TV: Does Wolf Hall live up to the hype? Does Wolf Hall live up to the hype? When I sat down to watch Wolf Hall, I was unsure about what to expect; mainly because I don’t know a lot about the Tudor period, and I wasn’t sure about whether a Tudor period show would be up my street. It’s safe to say that I was pleasantly surprised with BBC Two’s latest offering. Mark Rylance led the strong cast through the ‘ye olde’ world superbly and left me asking a few questions by the end of the epic. Wolf Hall is based on Hilary Mantel’s hugely popular novel of the same name. The series follows Thomas Cromwell (Rylance) and begins as Cardinal Wolsey (Jonathan Pryce) is about to fall from power. 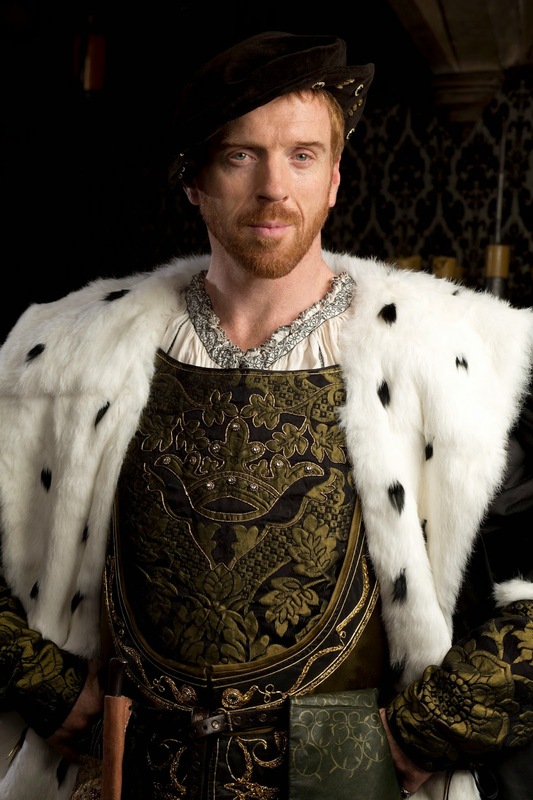 King Henry VIII (Damien Lewis) is on the throne and has been married to Katherine of Aragon for twenty years without being able to produce a male heir. When we join the narrative, Henry has been petitioning for an annulment for two years. Wolsey has been unsuccessful in gaining the Pope’s support on this matter and is a cause of great disappointment for both Henry and the Cardinal meaning that, when we pick up the story, relationships are already frayed. One of the real triumphs of the show is the sheer scale of it. The settings are immense and rich, showcasing the opulence of the Tudor upper-class to the cases of lower-class conditions within moments of each other. The set and costume design are very accurate and believable and it is this attention to detail which really makes the show stand out as an epic. The structure of the show is interesting as it flashes back and forward and creates little jigsaw pieces of interesting information; who, for example, is the little boy who was beaten up by the very creepy Farrier? My guess is that it’s Rafe being beaten his dad, the Farrier. That is the great part about this show; despite the immense and well-covered historical setting, it still manages to surprise with the introduction of some fictional characters in the background of the main story. Mark Rylance is the perfect protagonist as Thomas Cromwell; never at any point does he overplay the role, choosing instead to showcase a brooding character that doesn’t put up with any nonsense from anyone, even King Henry. Damian Lewis’ Henry haa certain gravitas that makes him seem dangerous and unpredictable when sharing the screen with Rylance’s Cromwell. Anne Boleyn, played by Claire Foy is by far the strongest woman in a show where the female characters are most definitely subordinate to the men, proving her abilities to be able to stop Cromwell in his tracks and take a different approach when he doesn’t get his own way. For me, the biggest flaw with Wolf Hall is that it is at times inaccessible for a viewer who doesn’t know an awful lot about the history and hasn’t read Mantel’s books. At times, it seems like the script does rely on you being completely aware of the history, which isn’t necessarily a bad thing, but being such an expansive and important time in British history, it is easy to forget some names and roles. Although the show is broad in the way that it covers various places across the country it maybe lacks in merely discussing the Pope’s capture, and not showing it, which would perhaps add to the jigsaw element as discussed above. Overall though, Wolf Hall is looking to be one of the standout shows of 2015. It is clear to see why BBC Two has been ploughing so much time and energy into it; This 8-parter is clearly a big budget show and has made full use of all its resources. To put it simply, it looks fantastic. It’s easy to lose track of the story at points because the scenery is so breath-taking and the costumes are so rich and full. 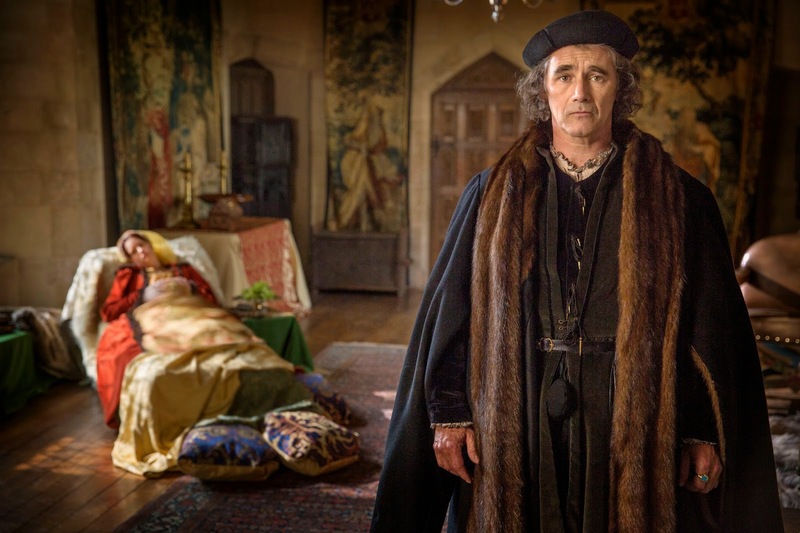 The whole show seems to be focussed on power conflicts and therefore we can expect some interesting confrontations throughout the next few weeks, and with a highly talented lead actor such as Mark Rylance, Wolf Hall is going to be the latest unmissable epic on our screens. Yes, the history is at times hard to follow, but will I keep watching? Absolutely. Wolf Hall Continues Wednesday at 9.00pm on BBC Two. Hilary Mantel did a wonderful job of exploring this ancient tragedy through different eyes, thereby cutting to the bone of the suffering that Henry inflicted on his women.